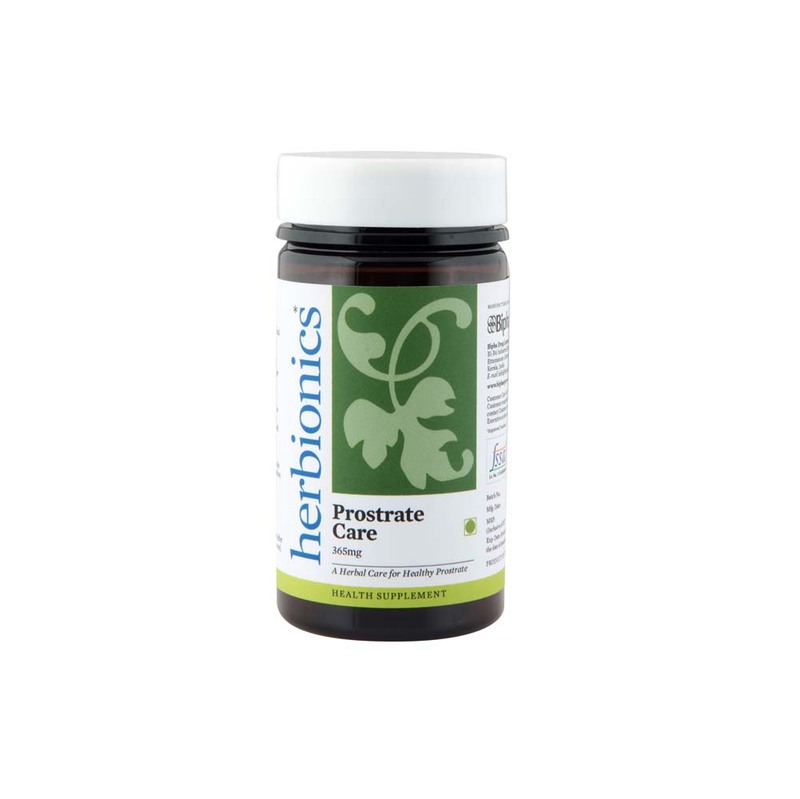 A nutritional supplement for a healthy prostate.Supports healthy Urine flow and helps to manage pain, inflammation and associated discomforts. Reduces Prostate size & volume. A comphrehensive nutritional supplement for healthy prostrate .Relieve pain, inflammation & associated discomfort. Does not contain Added Artificial Flavours, Pesticides, genetically Modified Crop Material, gluten, soy, dairy and the heavy metals. It is completely vegetarian capsules. Astercanthe longifolia ,(Whole plant)Cichorium intybus (Seed) ,Mucuna prurita (Seed) ,Argyreia speciosa ,Tribulus terrestris (Fruit) ,Holostemma adakodein (Root),Parmelia perlata (Whole plant). As a dietary supplement, take two capsules twice daily before food or as directed by the physician.